Who says you need millions of dollars to build a home? 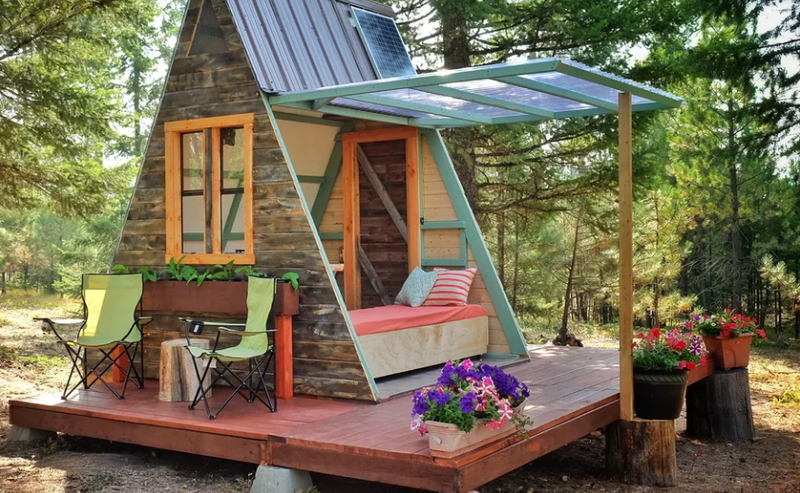 These tiny home enthusiasts were able to DIY their way into building a guesthouse for just $700! The best part? 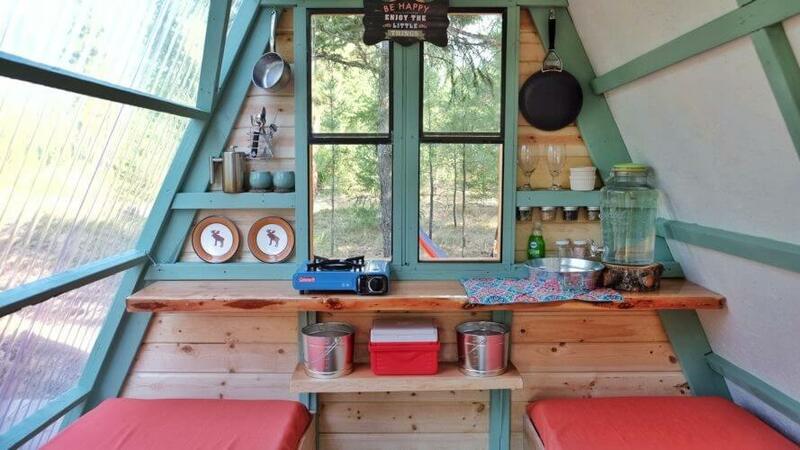 It only took three weeks to complete this kitschy little home. Photographer Alla Ponomareva and her husband Garrett needed a guesthouse and decided to take matters into their own hands. The couple scoured the net to look for the right design and got to work. 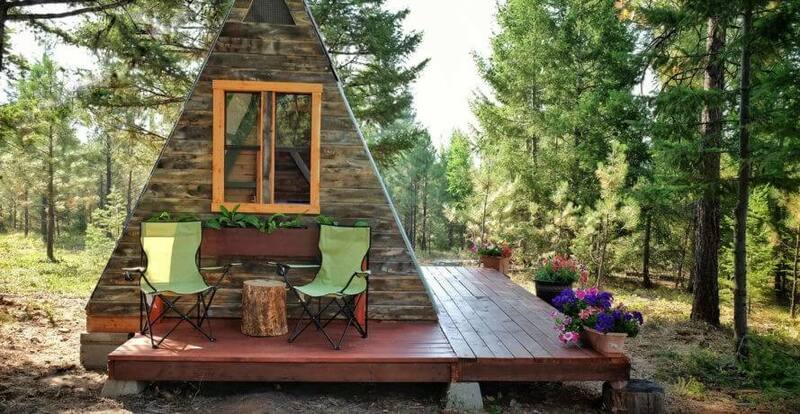 They chose an 80-square foot A-frame guesthouse designed by fellow tiny house enthusiast Derek “Deek” Diedricksen. The original design has a loft but Alla and Garrett customized the design to suit their needs and the result is nothing short of impressive! 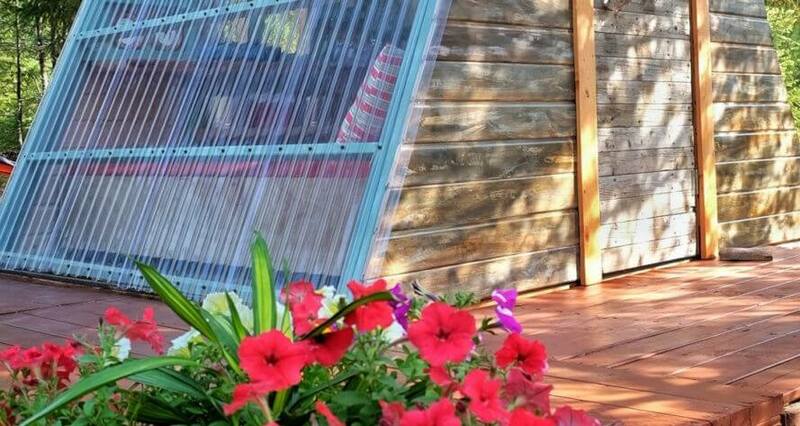 The couple built the quaint dwelling using recycled materials, which explains why it’s incredibly affordable! 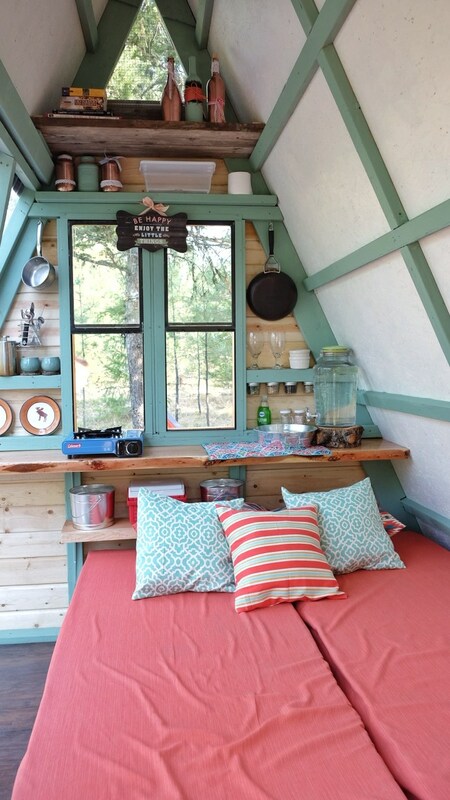 The frames, boards, roofing, even the nails were all repurposed. The front steps of the guesthouse were comprised of logs sourced from the nearby forest. 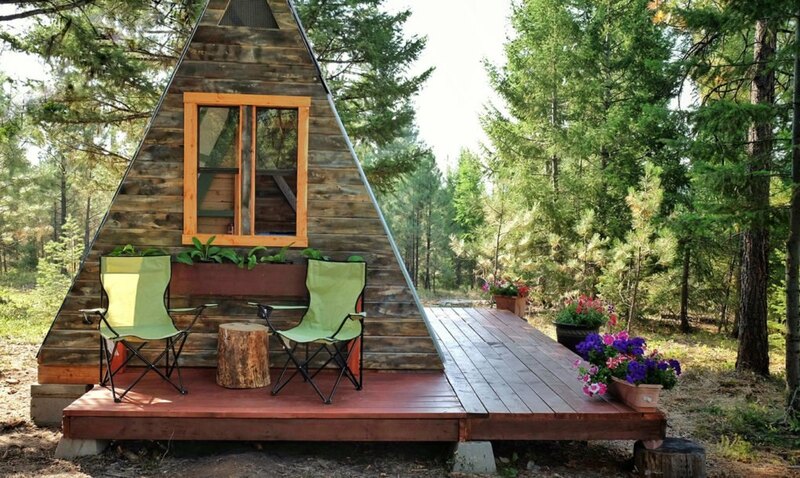 The home’s unique A-frame design is meant to maximize natural light. One of the walls is completely transparent to provide an undisturbed view of the outdoors. The same wall can be lifted up in case you want to get up close and personal with Mother Nature during the day or watch the stars at night. The base of the structure is wider so the interior space looks and feels expansive. A lone solar panel was installed on the rooftop. According to the couple, the solar panel was one of the most expensive features of the home but the free electricity is worth it! The roof-mounted solar panel provides enough power to charge mobile devices. Inside the guesthouse are two single beds that can be pushed together to form one large sleeping space. The house has no running water or toilet but an outdoor toilet and a solar-powered shower area have been built nearby. One side of the house features several shelves just above the windows as well as a gorgeous wooden countertop made from the same material as the front steps. Metal hooks were also installed above the windows and front door for added storage space. The clever shelving can accommodate basic camping tools including dinnerware, backpacks, and a portable stove for a cozy stay. 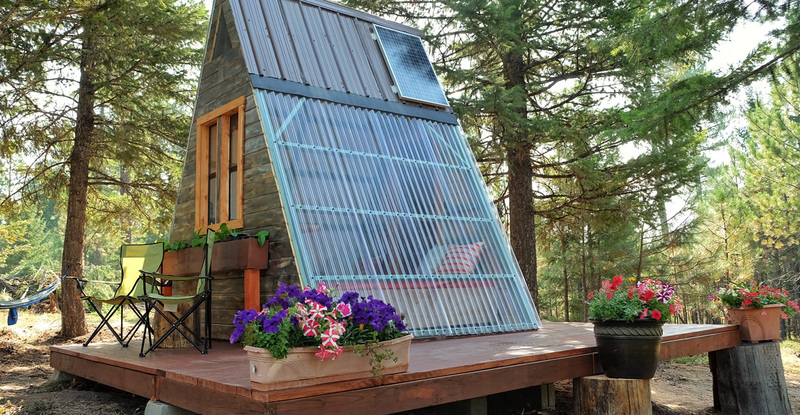 Since this tiny home is made from recycled materials, it’s quite eco-friendly. As for the color scheme, it took a while before Alla and Garrett decided to go with the coral and mint color scheme but the combination worked perfectly especially when paired with natural wood accents. Out the back is a modest patio with portable seating for two. An aged cut log serves as a makeshift table. 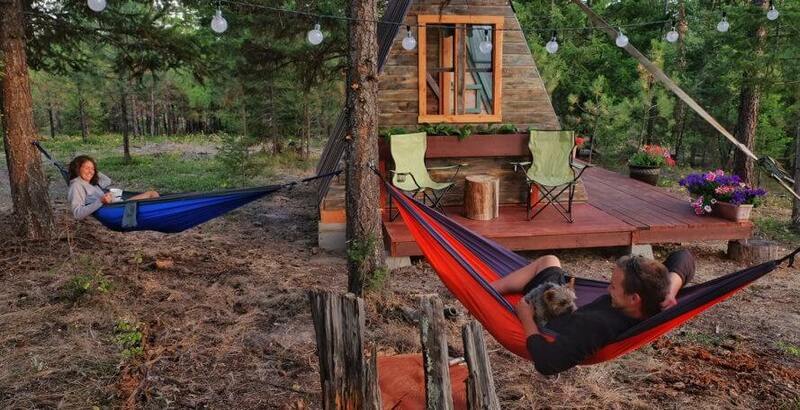 A couple of hammocks can be installed a few steps away from the cabin. 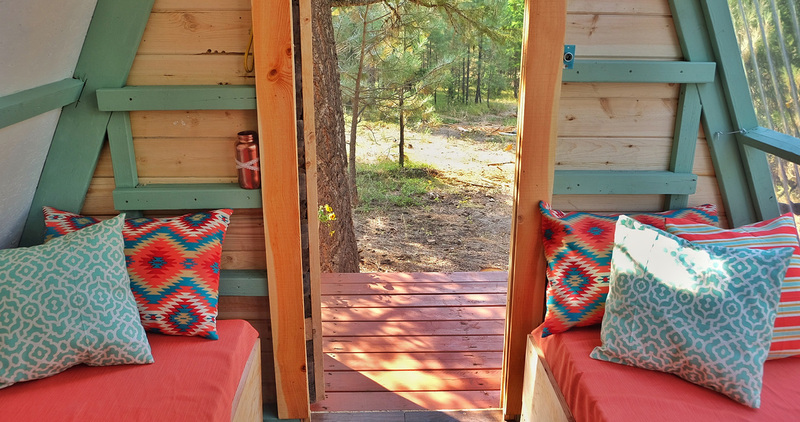 While this quirky guesthouse is too tiny for a small group of vacationers, it’s the perfect size for two people.